This is a question I often receive from my clients. They know the how-to, they’ve practiced EFT quite a bit – either with a buddy, in my office, or by tapping along with a video – but when it comes to practicing on their own, they’re stuck. And these are just a few of the concerns they bring up. The truth is: there is no magic bullet when it comes to practicing EFT by yourself. Because the goal is to allow unconscious thoughts, beliefs, and feelings to become conscious, you won’t know ahead of time what to do or say. And it’s hard to keep tapping in spite of the uncertainty. In this video I share a few tricks in order to address these concerns. A hint: one of them involves the use of a timer, the other the use of tapping. What? 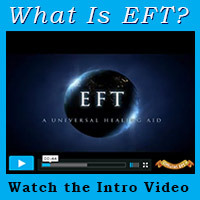 EFT can help when you don’t know how to do EFT? Well, yes! EFT can help with everything!